You might be wondering how could an app recognize the food in our meal and how could it counts calories too. But the app actually works and does all it’s tasks. 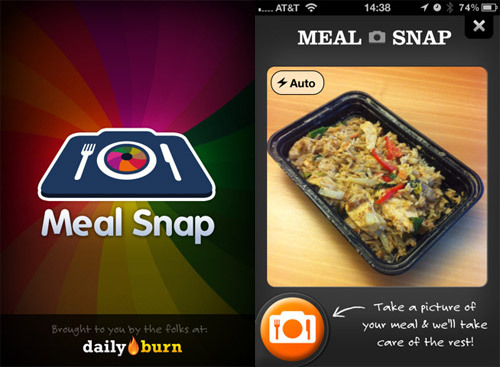 Meal Snap works in really simple way. You take pictures of the meal you eat and the magic of the app starts. It uploads the pictures and tells you what food was in your meal and also tell you how much calories you consume in the meal. Meal Snap is perfect for those who are diet conscious and want to take care of every single calorie they consume in their food. The app costs you $2.99. Although the app is not 100% accurate but it is worth the price if you really want to count calories in your food in easiest way. It is developed by daily burn. $2.99 is one time charge only? Yes, it is one time charge. Wow, that’s cool. I need to get iPhone for this app. Can it work on my $20 Nokia phone? i dont think its for real . an april fools prank i heard . Yeah, it would be looking too good :).Finally, is it true ? $2.99 Is Comparitvely Cheap. Wow… This looks Delicious.